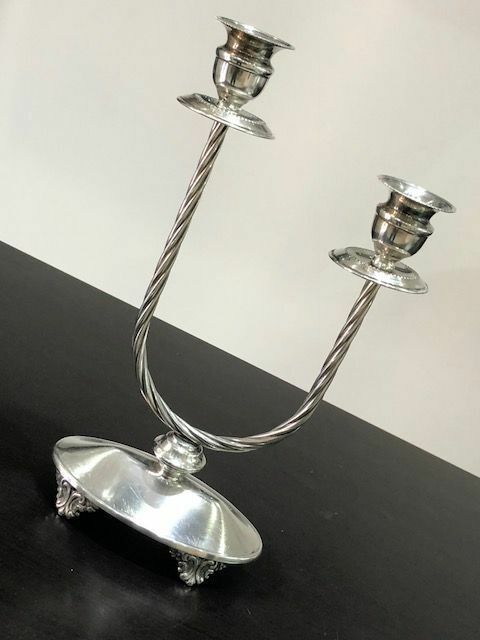 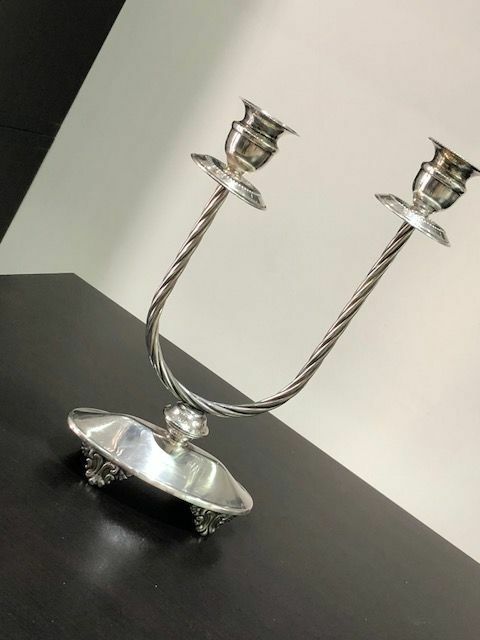 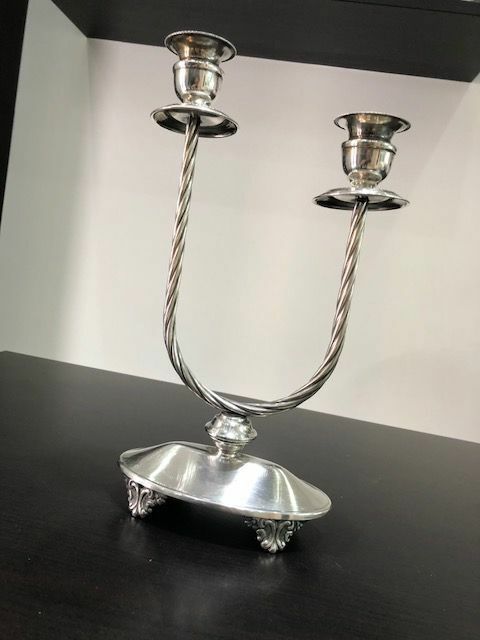 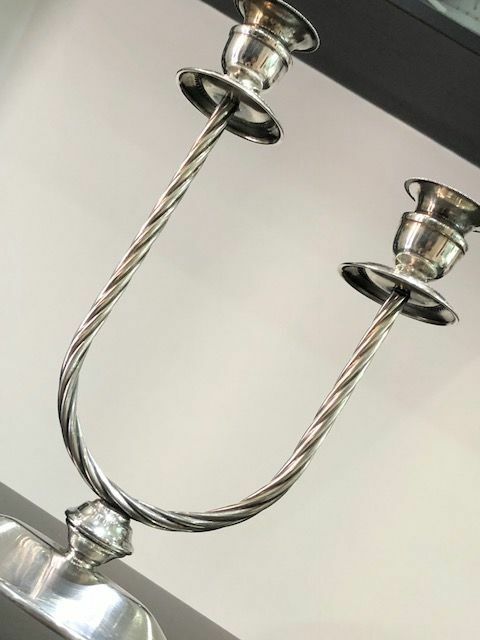 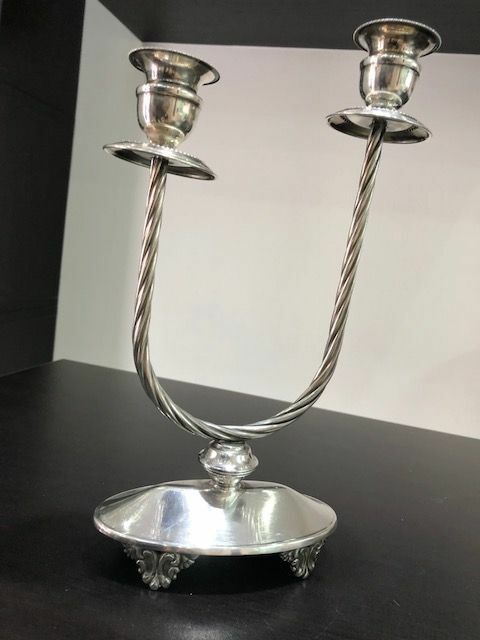 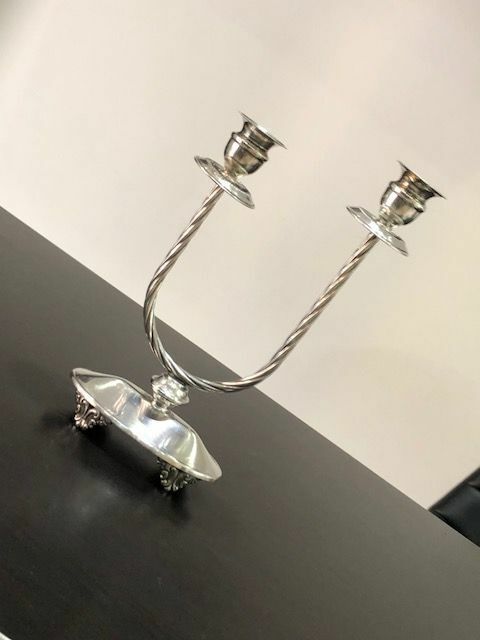 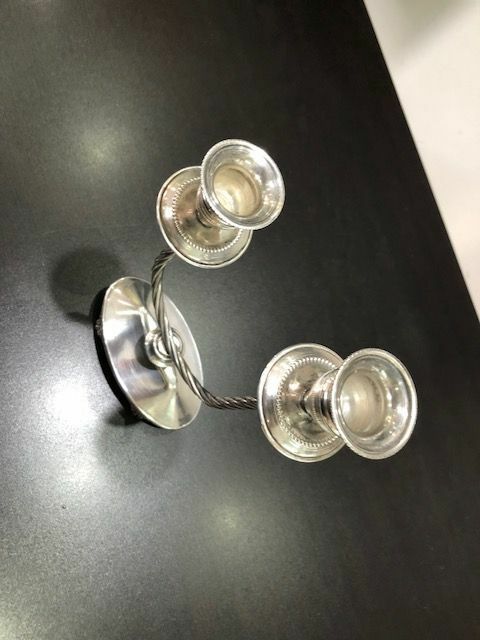 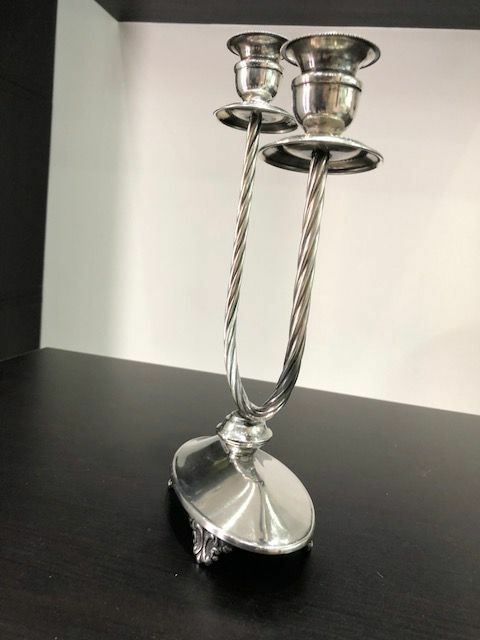 Exclusive and luxury 2-flame candelabra in silver 800, entirely handmade. 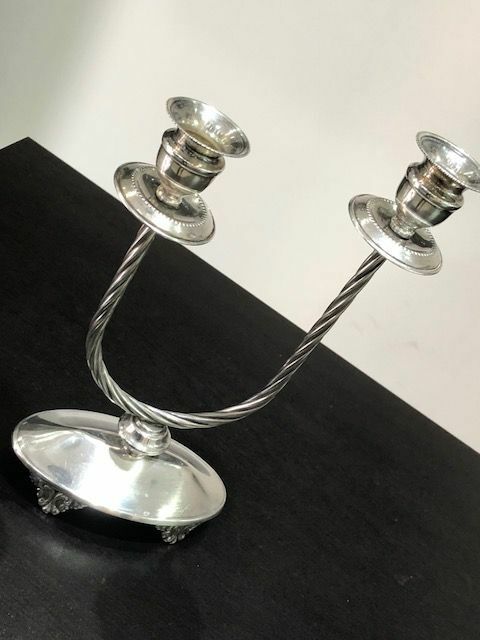 It rests on a round base, supported by shell-shaped feet. 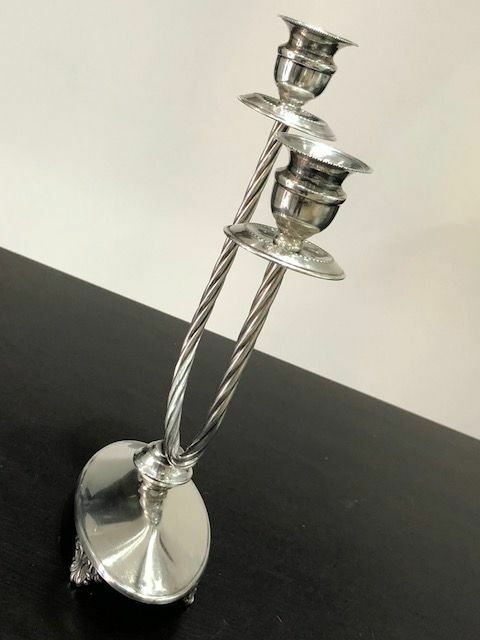 The two arms show a braided pattern.